My name is Suzanne Juersivich. I have been married since 1995 to my husband Jim and we have 2 children, Mason and Madison. Travel is a passion of mine, therefore, I became a travel agent with Kingdom Magic Vacations in 2007. I LOVE MY JOB! I love helping families create memories. It is very important to me that the families I help enjoy the whole process from the quoting process, booking your trip, getting you excited for your trip and following up with you once you return from your trip. I am here for you every step of the way! 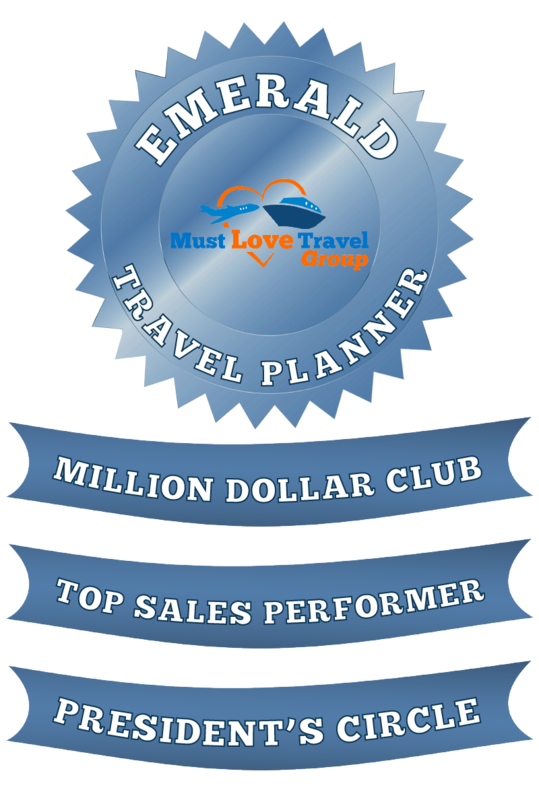 My Passion is to book Disney World, Disney Cruise, Disneyland, Adventures by Disney, Disney’s Aulani Resort & Spa, Universal Vacations, Sandals and Beaches Vacations as well as other Cruise Lines and All Inclusive Resorts. I promise that I will treat your vacation as if it were my own. As your personal travel agent, my goal is to provide you with an amazing experience that will create memories to last a lifetime. Suzanne goes above & beyond in every area of organization & helpfulness. She was so patient as she managed our family of six’s 2017 visit to Disney World in Orlando. We needed to make multiple adjustments & changes as the trip dates became closer and our schedules began to develop and get in the way. Suzanne was unscathed and jumped right in to make all necessary changes and planned the most magical vacation for us. She is always easy to reach & quickly available to respond to any and all questions. I really cannot say enough about Suzanne and her professionalism, dedication and kindness. Very thankful we have access to someone as knowledgeable & competent as Suzanne! My family has used Suzanne on several occasions (and numerous inquiries in between). She has always been responsive and had the answers to any questions we may have had. Our experiences with her have been nothing but positive and we would highly recommend her to friends and family. I booked my first Disney vacation with Suzanne in 2010. I will never again use another planner. She is knowledgeable, polite, responds quickly, patient (and you have to have a lot of that with me and and trip), and has always gotten me the best possible deal. I highly recommend her to anyone. I and so happy to have found her back then and moving forward I look forward to the many trips we will plan together. We would not use any other agent to plan our Disney vacations!! Suzanne planned our Walt Disneyworld vacation (4 years ago) and our Disney cruise (last year), this was our first time for either. I completely trust Suzanne so we went with all the things she suggested to us. I know it sounds cliche but our trip to Disneyworld was magical. We have three children and I think my husband and I had as much fun as they did. The whole experience was amazing and so relaxing! As for our cruise, I don’t even know how to put into words how amazing it was. The trip was over six months ago and two of my children still talk regularly to friends they met on the ship. My sixteen year old daughter talks everyday to a boy she met on the ship. He lives in Florida and we live in Ohio! We will be having Suzanne plan another cruise for us before my daughter turns eighteen next year so she can still go in the club for her age! From the start of our planning until we actually went on our trips, Suzanne was with us every step of the way. She answered any questions we had and made sure we packed all we needed for each one. Her knowledge and passion for Disney make her an exceptional agent!! I have been using Suzanne for almost 8 years. Every time she has recommended certain items on a trip she has always been right. She is always willing to look into things further and responds to all questions very expeditiously. Anyone who has gone on vacation, particularly to Disney, know how exhausting and daunting it can be. The little details are always what get you. Working to Suzanne makes this process seamless. This is my second trip to Disney and I worked with her on both occasions. I’ve changed property several times, added people going, removed people, and last year we has changes to dining reservations while on vacation and Suzanne makes all these changes so easily that it didn’t even cause a hiccup at all while on vacation. She’s so knowledgeable on on the events, rides, dining and experiences that she is able to help make recommendations and explains the entire process. Even after the trip is over she’s there to help with pictures and such afterwards. You can tell Suzanne not only loves vacationing at Disney, but enjoys helping others have a wonderful experience as well. I recommend her to anyone I know or meet that wants to go to Disney. Thank you Suzanne and I can’t wait for this year’s trip and booking another one with you. 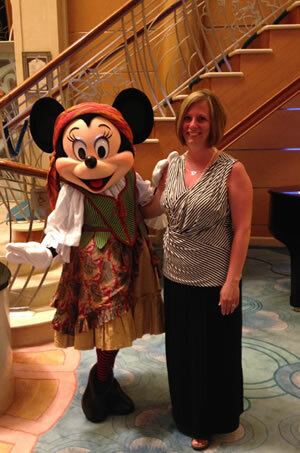 Suzanne has been planning our trips to Disney World for more than seven years. We have never been disappointed. She has become our friend even though we have not met her face to face. She helped us plan our 50th wedding anniversary celebration at Epcot for 50 people and it was wonderful. She is dependable and a real blessing to this family. You couldn’t ask for a more knowledgeable person. Helpful and over all amazing. Shes been my Disney girl for almost 11 years. I won’t have anyone else. Suzanne was outstanding and is very passionate about her job. She goes above and beyond to make sure every detail is taken care of for you to not have to worry about your trip from start to finish. She is very kind, easy going and always available to cater to what you want out of your trip. She is the best travel agent we have ever had!!!! We have been on numerous cruises, trips, and travel often!!!! Thanks again Suzanne for all you did for us!!!! Suzanne has been a lifesaver. As a mother of 4 who travels over 90% of the time for my job, the last thing that I want to do is have to get on a plane and plan one more trip. Suzanne has planned the last two vacations for us to WDW (Walt Disney World). Her suggestions for dining and resorts have been spot on. She is responsive and listens to your needs. She provides service before and during your vacation. If you listen to her tips, you will never have a bad moment! When you have Suzanne plan your vacation, you can sit back an enjoy yourself, relaxing in the knowledge that all is taken care of. I will never go back to WDW without having her take care of the arrangements! She is that good. Suazanne is truly amazing at what she does! She knows so much about Disney and Universal and is able to give personal experience suggestion and input on everything I needed. Suzanne helped with planning every single part of our many trips we have planned with her. She is very willing and able to get information from stroller rental, photo passes, diaper and snack delivery, to reservations and the best ways to approach your overall vacation. I will continue to have Suzanne plan any vacation that she is able to. She makes my planning easy, fun, and convenient. I have also had many friends and family members have Suzanne help with planning their vacation and there is nothing but rave reviews from them. She is definitely the best at what she does!